Edited by Bice Curiger, Klaus Albrecht Schröder, Adrian Ciprian Barsan. Text by Tadao Ando, Friedrich Teja Bach, Adrian Ciprian Barsan, Gottfried Boehm, Bice Curiger, Mariam Dvali, Régis Gayraud, David Lordkipanidze. Edited with text by Eva Wittocx, Ann Demeester, Melanie Bühler. Text by Mieke Bal, Peter Capreau, Maria Iñigo Clavo, Bice Curiger, Penelope Curtis, Hendrik Folkerts, Hanneke Grootenboer, et al. Edited by Ines Goldbach. Text by Susanne Bieri, Bruno Botella, Chris Bünter, Silvia Buol & Simon Baur, Bice Curiger, et al. Text by Anne Buschhoff, Bice Curiger. Edited by Karen Marta, Simon Castets. Text by Indigo Bucher, Mayo Bucher, Bice Curiger, Heike Munder, Beatrix Ruf, Christian Scheidemann, Philip Ursprung. Edited by Rebecca Warren, Damon Murray, Stephen Sorrell. Text by Bice Curiger. Edited by Daniel Kurjakovic. Text by Bice Curiger, Klaus Theweleit, Philip Ursprung, Tim Zulauf. Edited by Lionel Bovier. Introduction by Bice Curiger. Text by Bob Nickas, Julien Fronsacq, Katia Garcia-Anton. Edited by Massimiliano Gioni. Text by Jessica Morgan, Bice Curiger, Massimiliano Gioni. Edited by Bice Curiger. Text by Milovan Farronato, Robert Fleck, Susanne Hudson. Edited by Bice Curiger. Essays by Ina Blom, Bice Curiger, Diedrich Diederichsen, Kurt W. Forster, Al Rees and Rdiger Wehner. Edited by Bice Curiger. Essays by Bice Curiger, Carter Ratcliff, Peter J. Schneimann and Robert Storr. 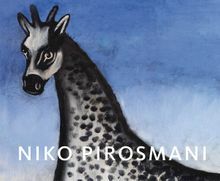 Pirosmani devised a unique visual vocabulary—black background, elementary colors of red, blue, yellow, green and white—to create his paintings of animals and portraits of merchants, shopkeepers, workmen and noblemen. This book, published for the Albertina’s major Pirosmani retrospective, examines his paintings in the context of art history. Hardcover, 11.25 x 9.5 in. / 220 pgs / 130 color. Since the turn of the 21st century, there has been a significant expansion in the field of transhistorical exhibition practice—that is, exhibitions in which objects from various art-historical periods and cultural contexts are put on display together. These juxtapositions are made in an effort to question traditional museological notions like chronology, context and category in the space of the museum itself. 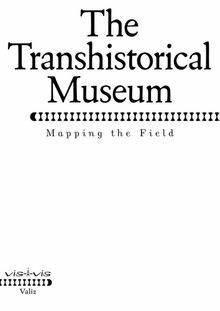 Drawing on the expertise of a wide range of international museum professionals, The Transhistorical Museum: Mapping the Field considers a range of such transhistorical curatorial efforts, exploring the rationale behind these projects, the particular challenges they present and the particular rewards they can offer. 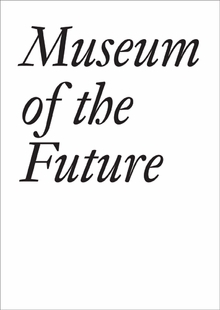 This volume surveys the history and future potential of the phenomenon of the transhistorical museum. Paperback, 6.5 x 9 in. / 280 pgs / 60 bw. The third volume in JRP|Ringier’s Ugo Rondinone series is dedicated to the Landscapes paintings (1989–2011). Critic and curator Bice Curiger proposes a historical and poetical reading of this body of work, while Kunsthalle Bremen Curator of Prints Anne Buschhoff offers an iconographic perspective on them. Hardcover, 9.5 x 12.25 in. / 316 pgs / 124 color. Published by Verlag für moderne Kunst/Edition Fink. 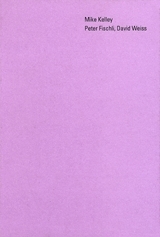 This is the first monograph of the abstract, monochromatic paintings and drawings of Swiss, New York–based artist Bruno Jakob (born 1954) from the late 1960s to the present day. It includes installation views of recent exhibitions and a compilation of documentary photographs from four decades. Clth, 6.75 x 8.75 in. / 400 pgs / 95 color. Although Vincent van Gogh is now considered one of the most original artists of his time, his art was deeply rooted in tradition. Modern subjects and styles began to enter Van Gogh’s oeuvre after he arrived in Paris in 1886, and his subsequent years in Provence found him experimenting and refining his personal style. But Van Gogh always remained true to the subject matter that had interested him in his early years. Three genres dominate Van Gogh’s work from the beginning of his career to its end: the figure, the landscape and the still life. Van Gogh in Provence argues that Van Gogh’s achievements as a modernist are best understood in relation to these traditional loyalties. Using vibrant colors, surging brushstrokes and daring compositions to give established motifs new, expressive form, Van Gogh built a modern house on a traditional foundation. Vincent van Gogh was born in the Netherlands in 1853. His painting career began when he was in his late twenties, influenced first by his work as a missionary in a mining region of Belgium, and later by his exposure to Impressionism while living in Paris. His bright, signature style emerged after relocating to the South of France, where he produced over 2,000 artworks in just over a decade. After bouts of mental illness, the artist took his life in 1890. Hardcover, 8.75 x 11 in. / 144 pgs / 133 color. 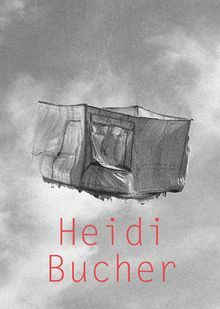 Although Heidi Bucher's (1926–93) oeuvre remained mostly overlooked after her death, a recent revitalization around her idiosyncratic practice has opened the conversation on this pioneer in the feminist dialogue of the 1970s. Born in Switzerland, Bucher moved to California in the 1960s where she collaborated with her husband Carl on Bodyshells, a series of wearable sculptures exhibited at the Los Angeles County Museum of Art in 1972. She returned to Switzerland in the mid-1970s and began her most iconic body of work, latex casts of objects and rooms. 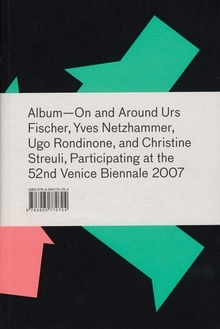 This volume includes a conversation with Christian Scheidemann on conserving contemporary materials; essays from the catalogue of the seminal 2004 Migros exhibition; memories from Beatrix Ruf and curator Bice Curiger; as well as a walk through the Swiss Institute exhibition with her sons and collaborators Mayo and Indigo. 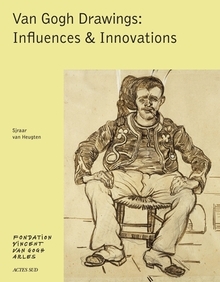 Embracing the conceptual framework of an exhibition at Swiss Institute and its related public programs, each book in the SI Series adds retrospective context through seminal essays, archival materials, event transcripts, artist portfolios and exhibition documentation, as well as reprints and new translations of important texts. Each book in the series assumes a unique format to delve into the work of an artist, an artistic movement or a philosophical conundrum. Hardcover, 6 x 8.75 in. / 116 pgs / 50 color / 20 bw. Vincent van Gogh (1853-90) started his artistic career by concentrating on drawing. Convinced that this was the foundation he needed to become a painter, he did little else for the first three years of his career. He was a talented drauftsman long before he became an experienced painter, and drawing would remain an integral part of all his subsequent artistic activities. Published to accompany an exhibition at the Vincent van Gogh Foundation in Arles, Van Gogh Drawings includes more than 30 of the artist's prints and drawings. 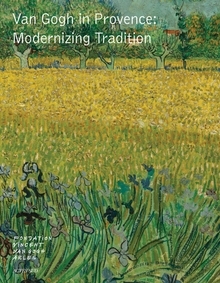 This volume also pays special attention to the influences that shaped van Gogh's graphic work, and features a range of images that inspired van Gogh at specific points in his practice. These include prints and images from illustrated magazines which van Gogh collected and which strongly influenced his early work, and replicas of 17th-century prints and Japanese prints which inspired his remarkable reed pen drawings made in Provence. Van Gogh absorbed a multitude of influences and merged them in works that were highly innovative in style and often also in technique, producing one of the most remarkable drawn oeuvres of the 19th century. Hardcover, 8.75 x 11.25 in. / 120 pgs / 76 color. Museums of contemporary art are expanding and in crisis. They attract ever-larger audiences; architects constantly redesign them; and the ever-swellling ranks of artists are producing a greater quantity of art than ever before. Meanwhile, museum funds are dwindling amid economic crisis and an overheated art market. The question of which art is to be collected has also become a more openly discussed topic. How do curators meet these challenges? How do artists view their relationships to museum? How do practitioners navigate between ideas, ideals and realities? This publication gathers interviews with artists, architects and curators of the contemporary art world, such as John Baldessari, Ute Meta Bauer, Suzanne Cotter, Bice Curiger, Chris Dercon, Charles Esche, Liam Gillick, Michael Govan, Jacques Herzog, Thomas Hirschhorn, Philipp Kaiser, Rem Koolhaas, Lars Nittve, Hans Ulrich Obrist, Thierry Raspail, Tobias Rehberger and Beatrix Ruf, among others. Paperback, 6 x 8.25 in. / 240 pgs / 31 bw. 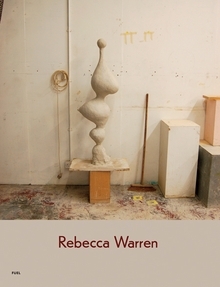 Rebecca Warren's first monograph is chronological review of her career to date. Showing both key works and installation shots, (including the Turner Prize, Serpentine Gallery, the 54th Venice Biennale and numerous interntional solo exhibitions) her work is further contextualised with an essay by Bice Curiger, editor of Parkett. Warren's sculptures in clay, bronze and steel, ebb from figuration to abstraction, ranging from the amorphous to more clearly recognizable forms. Always evident in Warren's work is the negotiation between thought and process. Ideas and influences are filtered, distorted and often discarded as they find three-dimensional form. Her sculptures can be tender and droll, yet also aggressive in their depiction of the female form. Yet while she often manages to both invoke and skewer the work of familiar male artists such as Willem de Kooning, Alberto Giacometti and cartoonist R. Crumb, individually and collectively Warren's works form an entirely modern, complex and distinctive visual language. "She is no pasticher of the past," wrote Jonathan Jones in The Guardian, "but an original and formidable talent." Clth, 9 x 12 in. / 272 pgs / 250 color / 50 bw. Parkett 90 presents direct collaborations with important international artists, each of whose oeuvre is explored in several essays by leading writers and critics. Each artist also creates a special signed and numbered artwork exclusive to Parkett. 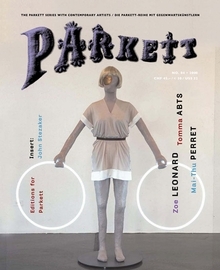 In addition to this central collaboration element, Parkett includes various articles on contemporary art within a series of playful guiding rubrics such as “Cumulus,” “Insert” or “Les Infos du Paradis.” The long list of artists that have collaborated with Parkett features Laurie Anderson, Richard Artschwager, Georg Baselitz, Matthew Barney, Louise Bourgeois, Francesco Clemente, Peter Fischli/David Weiss, Gilbert & George, Rebecca Horn, Ilya Kabakov, Jeff Koons, Brice Marden, Bruce Nauman, Meret Oppenheim, Raymond Pettibon, Sigmar Polke, Gerhard Richter, Cindy Sherman, Andy Warhol and many more. Paperback, 8 x 10 in. / 300 pgs / illustrated throughout. Parkett 88 contains special features on four contemporary artists: painter, designer and performance artist Kerstin Brätsch (born 1976), with essays by Massimiliano Gioni, Fionn Meade and Beatrix Ruf; artist and film-maker Paul Chan (born 1973), with essays by Carrie Lambert Beatty, Alan Gilbert and Boris Groys; the pioneer of appropriationism Elaine Sturtevant (born 1930), with essays by Roger Cook, Paul McCarthy and Stéphanie Moisdon; and the photographer and sculptor Andro Wekua (born 1977), with essays by Daniel Baumann, Douglas Fogle and Claire Gilman. Also in the issue are an essay by Juri Steiner and conversations between art historians Herbert Lachmeyer and Jacqueline Burckhardt, and poet Marcella Durand and painter Suzan Frecon. Known for her enormous sculptures, whose disorienting effects the viewer feels instantly, German artist Katharina Fritsch plays on primeval desires and fears. This volume includes 80 works from throughout Fritsch's career. Paperback, 8.5 x 11.25 in. / 148 pgs / 58 color / 26 bw. In a move that now seems prescient, Swiss artist Urs Fischer--who was born in 1973--literally pulled the floor out from under viewers for a 2007 exhibition at Gavin Brown's Enterprise, New York, by digging through the gallery foundations and exposing the dirt and rubble beneath. Best known for this kind of dramatic transfiguration of the exhibition space, as well as for his unexpected transformations of quotidian objects and his lack of allegiance to any one style, Fischer consistently projects a sense of transience and existential uncertainty. This volume--which includes newly commissioned essays by Massimiliano Gioni and Jessica Morgan, as well as over 200 images of Fischer's work, including installation views and studio shots--functions like a search engine, cross-referencing Fischer's thought processes. Published concurrently with his solo exhibition at New York's New Museum, it was conceived by designer Scipio Schneider in close collaboration with the artist. Hardcover, 9.75 x 12.5 in. / 482 pgs / 450 color. Parkett 85 celebrates the revered nonagenarian Austrian painter Maria Lassnig with new writing by Manuela Ammer, Robert Storr and Ludmila Vachtova; the Brazilian painter of carnival-inspired tropical plants and patterns, Beatriz Milhazes, with texts by Tanya Barson, Arto Lindsay and Barry Schwabsky; the strangely compelling French photographer of birds and bird habitats, Jean-Luc Mylayne, with writing by Josef Helfenstein and Fionn Meade; and the rising New York painter, Josh Smith, with texts by Christophe Cherix, Anne Pontegnie and Ira Wool. Also in this issue: Gabriel Kuri and Damian Ortega in conversation; Mark Godfrey on Sharon Lockhart; texts by Mark Von Schlegell, Andrew Weiner, Rainer Michael Mason and Rachel Price. Insert is by Matthias Uhr and spine is by Josh Smith. In this issue of Parkett, Jan Verwoert describes Tomma Abt's abstractions as "defined by a kind of retroactive temporal logic: the movement that leads to the finished picture is a movement that keeps flowing back on itself in the process of overpainting." 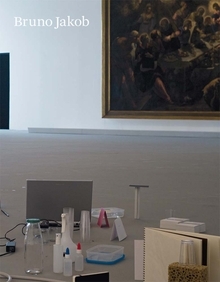 Julien Fronsacq calls Mai-Thu Perret's work "a product of a different persona" and suggests that it revolves "around the structure of the novel." According to Johanna Burton, Zoe Leonard uses the predominantly male photographic lineage to "speak in tongues," and to play with expectations--even as she expresses the metaphysical loneliness inherent to the medium: "There is no such thing as a truly entwined gaze," writes Burton, "only ever the promise of one and the deep breach that results from its impossibility." Also: Philipp Kaiser on Richard Hawkins, Josef Strau on Ei Arakawa, Charles Bernstein on art criticism, texts by Philip Ursprung and Jens Hoffmann, insert by John Stezaker and spine by Paulina Olowska. 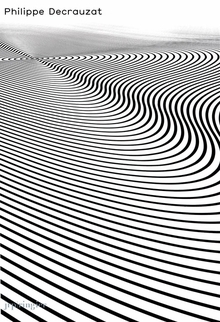 Though his works evoke 60s Op art, Swiss-born artist Philippe Decrauzat’s first reference is more likely to be the film Tron than Bridget Riley. Decrauzat works in a variety of media--wall painting, shaped canvases, sculpture, installations and works on paper, all of which evidence flat chromatics and complex geometric compositions. Stating, “I am not trying to build up a new theory about ideological issues regarding the historical content of abstraction. I am strongly involved in investigating the status of the image, in other words, indebted to practices trying to outline the critical tools developed by Conceptual and Op art,” Decrauzat clues us in to how his seemingly simple mix of appropriated imagery and techniques works. This is Decrauzat’s first monograph and includes an essay by critic and curator Bob Nickas. Hardback, 8 x 11.25 in. / 64 pgs / 34 color / 6 bw. Beautifully designed, text-heavy and smart, Album is a deliberately unrepresentative compilation of genre-hopping textual and visual material placed in orbit around the work of the influential young Swiss artists Urs Fischer, Yves Netzhammer, Ugo Rondinone and Christine Streuli--all of whom were born in the early- to mid-1970s, and all of whom represented Switzerland at the 2007 Venice Biennale. Finely printed on uncoated paper, the book includes specially commissioned critical texts, conversations, reports and visual essays that address, sometimes straightforwardly, sometimes obliquely, the larger issues implied in this group's work--such as notions of time, the animal and the human, shock and materiality. With a similarly eclectic mix of historical analysis, literary tableau and art-world journalism, the book imagines a psycho-geography of Switzerland, from its Alps to its art-filled bunkers. Sensitive to the nature of its context, informative and discursive rather than promotional, the book is rounded off with a survey on the future of biennials in relation to the present-day "fair mania" and a selection of critical views. Paperback, 6 x 9 in. / 320 pgs / illustrated throughout. The eye is the dominant sensory organ of our age, with more and more information received in still and moving images, and more and more information mined visually from spatial dimensions that are ever smaller and ever greater. 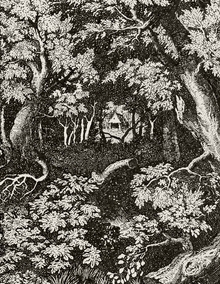 The use of a wide variety of optical devices has long been second nature to us, and their methods of extending the reach of our sight--virtually and really--have instigated fundamental, far-reaching changes in our understanding of reality. 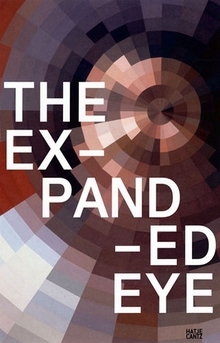 The Expanded Eye takes a concerted look at an experimental side of art, where seeing means insight. It presents paintings, objects, film and video installations from the 1950s to the present, a spectrum that takes into equal account the playful experiments of postwar art and the radically altered premises of recent artistic practice. Artists include Bridget Riley, Robert Smithson, Jonas Mekas, Olafur Eliasson and Jules Spinatsch. Hardcover, 7.5 x 11.25 in. / 256 pgs / 130 color and 50 bw. Contributions by Bice Curiger, Christoph Heinrich, Sibylle Berg, Norman Bryson, Paul D. Miller, Griselda Pollock, Thomas Tode, Gero von Randow, Peter Weibel. 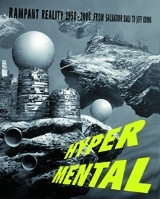 Hypermental tracks, with unprecedented insight, the unfinished project of surrealism, exploring the visual art of the modern era not in terms of genres, schools, or media, but through the lens of subjectivity. This new catalogue explores how the modernist critique of the subject--exemplified by the art and philosophy of the Surrealists--has continued on through the postwar period and through to the present day. From Merit Oppenheim and Yayoi Kusama in the 1950s and 60s to Cindy Sherman and Matthew Barney in the 90s, we find works that interrogate the construction of the subject, and the body, through sexual difference. From the Pop-era pieces of Richard Hamilton and James Rosenquist to the more recent work of Richard Prince and Barbara Kruger, we find a narrative of the production of desire, one that refers explicitly to the elevated status of the commodity. Hypermental presents work by these artists and many more, juxtaposing their work with that of the original surrealists, and the resulting book is an exceptionally unique history of the most radical trends in the history of 20th century art. Edited by Bice Curiger. Essays by Hartmut Bàhme and Ulli Seegers. One of the most important artists of our time, Sigmar Polke has devoted much of the past quarter century to works that explore alchemical themes, and this catalogue is the first to focus on that golden thread in his paintings. With his characteristic exuberance, intelligence, and fearlessness, he has drawn upon such diverse sources as the cultures of the Far East and the Pacific Islands, the eighth-century Book of Kells, and the mythical pseudo-science of Hermes Trismegistus. In his 1982 painting Gold Nuggets, Polke went so far as to use highly poisonous paints containing arsenic, and in other works, he has employed precious minerals such as lapis lazuli to evoke both the mysticism and physicality of color. Older paintings here join with brand new ones, including a comprehensive group of large-format compositions painted especially for the exhibition at Kunsthaus Zrich. This group is complemented by other works from recent years, such as the magnificent four-part piece from 1995, Hermes Trismegistos. Overall, the air of an artist's book infuses the publication due to an intense collaboration between designer Trix Wetter, editor Bice Curiger, and the artist. Hardcover, 9.5 x 12.5 in. / 220 pgs / 120 color / 20 bw. One of the greatest American painters of the twentieth century, Georgia O'Keeffe is beloved by a broad audience that ranges from the most erudite art historian to the twelve-year-old girl next door. Her monumentally sensuous oil paintings of flowers hang in the best museum collections but are known as well via mass-produced posters, greeting cards and calendars; her weathered, elegant, fierce self has long been mythicized through Alfred Stieglitz's classic black-and-white photographs of his wife. 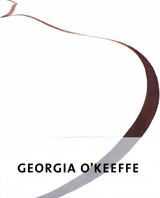 This large-format monograph on O'Keeffe renews her place in the modern canon and encourages an intensive encounter with her work. Her radical departures from imitative realism, the style that was prevalent when she began to study art making, eventually led to an idiosyncratic painting style characterized by a state of suspension. Over the course of her lengthy career--she worked up until two years before her death at age 98--she discovered and developed a personal language through which to express her own feelings and ideas, creating bold picture conceptions and spatial designs that hover somewhere between the real and the abstract, the close-up and the monumental, natural representation and artificiality. Hardcover, 9.75 x 12.5 in. / 220 pgs / 150 color / 3 bw. 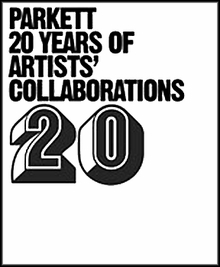 A rare, behind-the-scenes look at one of the art world's most respected magazines, Parkett: 20 Years of Artists' Collaborations portrays and explores the 20 years of Parkett since 1984. Focused particularly on the making of the journals' signature artists' collaborations and editions, this book features unpublished artist interviews, statements and other background information. Included as well are artists' documents on the making of Parkett editions with some 30 full-page color drawings and comments by artists Doug Aitken, Laurie Anderson, Louise Bourgeois, Maurizio Cattelan, Gilbert & George, Roni Horn, Cindy Sherman, Gerhard Richter, Jeff Wall and others. Parkett co-founders Bice Curiger, Jacqueline Burckhardt and Dieter von Graffenried provide insightful interviews which are interspersed with pictures, historical material and reproductions of Parkett covers. Approximately 30 artists, curators and authors give statements, and 12 color double pages feature Parkett editions in private collections, a special large size fold-out poster, and a group picture of all editions. Also included is an index of the past 20 years that includes all 200 artists, 150 editions, 700 authors, 60 Parkett inserts and 15 spines. Paperback, 7.5 x 9 in. / 240 pgs / 30 color / 90 bw. Essays by Bice Curiger, Patrick Frey, Boris Groys, Mike Kelley, Daniel Kothenschulte. This volume considers the work of Mike Kelley alongside the collaborations of Peter Fischli and David Weiss. 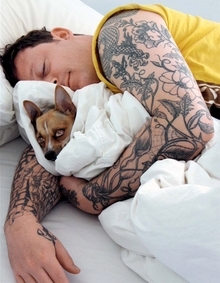 Kelley's works are firmly anchored in an ironic, detached attitude towards his Irish Catholic upbringing; he makes use of the pictorial language of specific subcultures and the aesthetics of ‘low culture,’ to probe such concerns as the representation of childhood and the social construction of sexual behavior and cultural identification. Peter Fischli and David Weiss have been making art together since 1979, addressing various theoretical and philosophical explanations of the world with their subtle and humorous manipulations of common objects. The work of the American Kelley and the Swiss Fischli and Weiss resonate with each other in curious ways, most significantly in their exploration of everyday consciousness and ‘low' materials. This publication documents the work of Peter Fischli and David Weiss in the Goetz Collection during a recent exhibition, along with interviews, essays and two texts by Kelley himself. Hardcover, 7 x 9.75 in. / 135 pgs / 100 color / 3 bw. 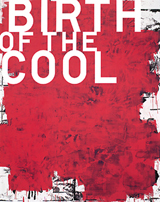 Birth of the Cool presents art that developed in subtle deviation from the familiar movements of 20th century American painting through retaining their main characteristics as points of reference. The accentuation of the surface, the breaking up of illusionistic space, the opening up of the painting's format to new dimensions in space and time are the lasting constants of American painting. The American tradition in painting is a tradition that is both sensual and severe, intellectual and emotional and above all open to modern society.